Here we go again! 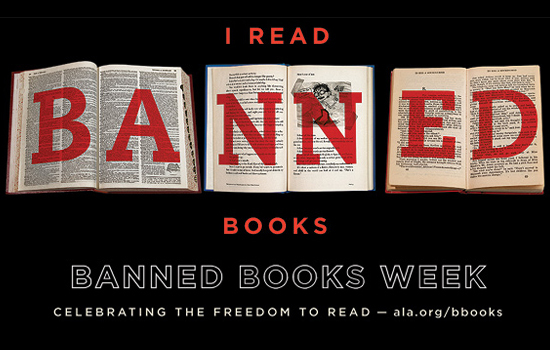 It’s Banned Books Week! I like this more than Halloween, even though there isn’t any Candy Corn, and if there’s chocolate, good chocolate, it’s because I bought it. Still, as an English teacher, it’s one of those things that makes me absolutely giddy. You know I print out the list of top most challenged books and make my way through it. I’m not a naughty girl, really. Well, maybe a little bit. Sister Dawn did catch me reading M*A*S*H when I was in the sixth grade. Anyway, last time I checked, the Constitution is still around (I’ll reserve further comments) and we do, in fact, celebrate the freedom to pursue the kind of reading that makes us explore, challenge ourselves, grow, learn, and, well…think. It’s not about being naughty but about being knowledgable. Banned books tend to cover themes that promote discourse, and discourse is really at the center of a free society. Freedom, though, doesn’t mean we are exempt from responsibility or discretion. Instead, it inspires guidance. Most people rush to see the list of banned books (I’m one of them) but I also found some compelling data. 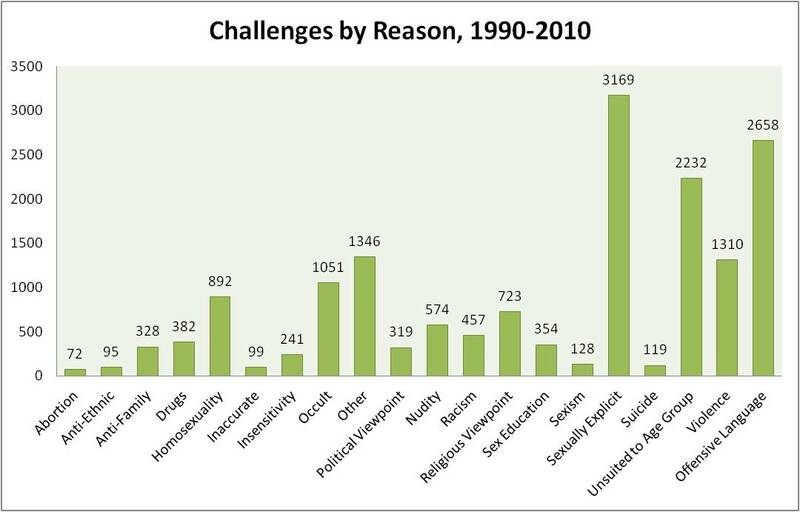 For example, look at who is responsible for challenging the most books. Yes! Parents! That is as it should be. I can’t begin to tell you about the uninspiring stacks of books I’ve read because my children were reading them, and conversely, the amazing discoveries that I missed when I was their age and was able to enjoy with them because I was paying attention to what was on their night tables. The good news is that the institutions, for the most part, are staying out of it. But if you’re a parent, this might be a useful table. The majority of the content questioned is, in fact, naughty. As an English teacher, I’ll almost always encourage you to read something that challenges you, but I will always encourage you to read something that will edify you. Reading scandalous texts because they are scandalous will ultimately do you more harm than good. It turns out that 46 out of the top 100 novels of the 21st century have been challenged. I’ve read 45. I’ll leave it up to you to figure out which ones. 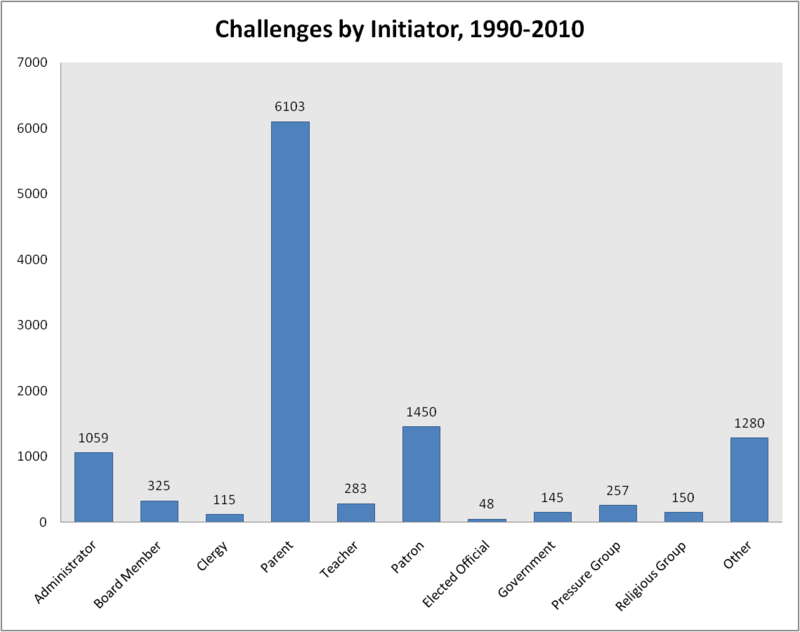 How did you determine which of the 100 were challenged? Ah, I’ve read only 27. But Winnie the Pooh and Charlotte’s Webb? LOTR? Although I have to say, the last battle was pretty epic on screen. You can keep the creepy little goon, though.